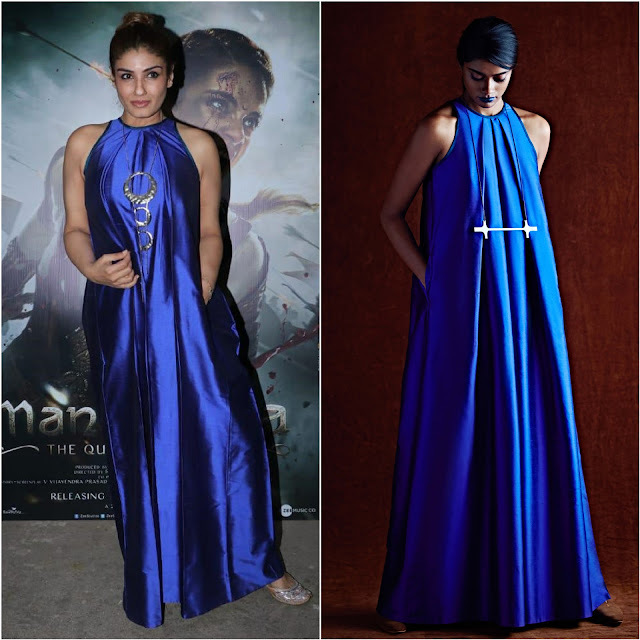 Raveena Tandon picked up a cut sleeves satin blue dress by designer Payal Khandwala for the recent screening of Manikarnika. A hair updo and mild makeup finished off her look! Raveena looked pretty!